The Republic of Bashkortostan (Bashkir: Башҡортостан Республикаһы, Başqortostan Respublikahı; Russian: Респу́блика Башкортоста́н, Respublika Bashkortostan; [rʲɪsˈpublʲɪkə bəʂkərtɐˈstan]), also Bashkurdistan and historically known as Bashkiria (Russian: Башки́рия, Bashkiriya; [bɐʂˈkʲirʲɪjə]), is a federal subject of Russia (a republic (state)). 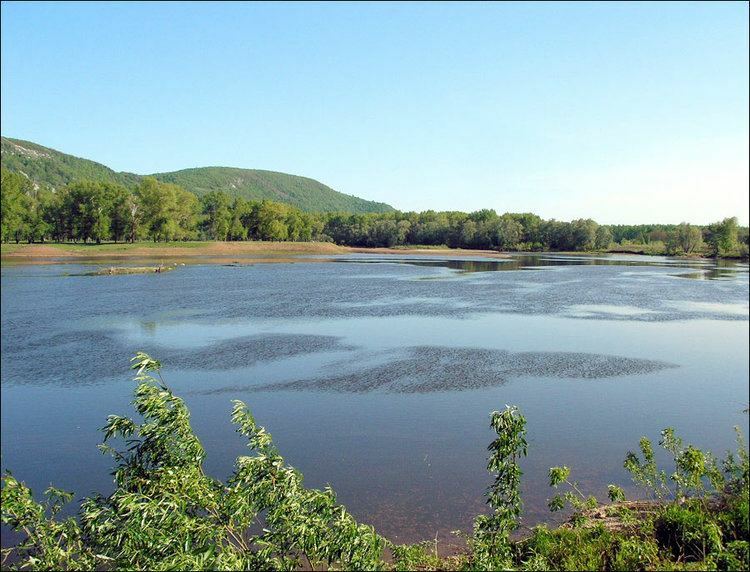 It is located between the Volga River and the Ural Mountains. Its capital is the city of Ufa. With population of 4,072,292 as of the 2010 Census, Bashkortostan is the most populous republic in Russia. 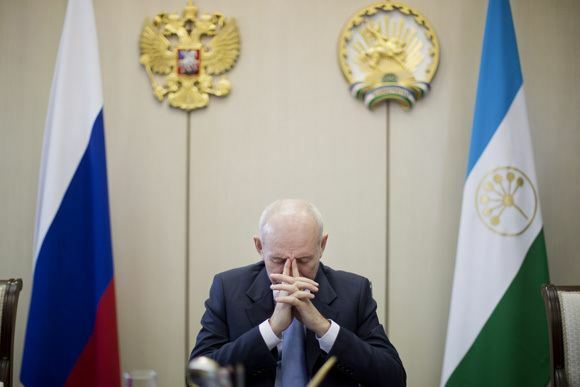 Bashkortostan, the first ethnic autonomy in Russia, was established on November 28 [O.S. November 15] 1917. On March 20, 1919, it was transformed into the Bashkir ASSR, the first Autonomous Soviet Socialist Republic in RSFSR. In accordance with the Constitution of Bashkortostan and Russian Federation Constitution, Bashkortostan is a state (country), but has no sovereignty. On 11 October 1990 Bashkortostan adopted the Declaration of State Sovereignty, but subsequently abandoned it. 11 October is Republic Day in Bashkortostan. 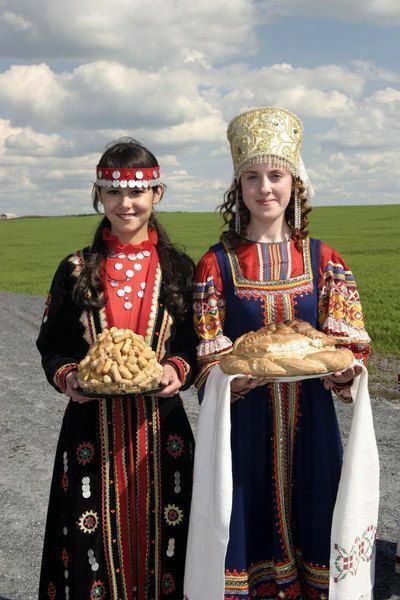 The name "Bashkortostan" derives from the name of the Bashkir ethnic group, also known as Başqorts. While the root of the name is Turkic (being a combination of 'baş', which in Turkish can mean head, chief, main, principal, and 'qort' meaning wolf, one of the animals regarded as sacred to Turkic peoples); the suffix -stan is Persian, common to many Eurasian country-names. They speak the Bashkir language, which belongs to the Kypchak branch of the Turkic languages. Bashkortostan takes its name from its native people — the Bashkirs. The Russian (Slavonic) name of the country — Bashkiriya — formed at the end of the 16th century. Originally it appeared in the forms Bashkir land, Bashkir’, Bashkirda and Bashkir horde. The ethnonym Bashkirs first became known in the 7th century. In the 10th century, Al-Balkhi wrote about Bashkirs as a people, divided into two groups, one of which inhabited the Southern Urals, while the other lived near the Danube river, close to the boundaries of Byzantium. His contemporary Ibn-Ruste described the Bashkirs as "an independent people, occupying territories on both sides of the Ural mountain ridge between Volga, Kama, Tobol and upstream of Yaik river". After the Russian Revolution of 1917 are All-Bashkir Qoroltays (conventions) on which a decision on the need to create a national federal republic within Russia. As a result, 28 November 1917 Bashkir Regional (central) Shuro (Council) proclaims the establishment in areas with predominantly Bashkir population of Orenburg, Perm, Samara, Ufa provinces territorial and national autonomy Bashkurdistan. In December 1917, delegates to the All-Bashkir (constituent) Congress, representing the interests of the population edge of all nationalities, voted unanimously for the resolution (Farman #2) of the Bashkir regional Shuro the proclamation of national-territorial autonomy (of the republic) Bashkurdistan. The congress was formed the government of Bashkurdistan, the Pre-parliament - Kese-Qoroltay and other bodies of power and administration, and decisions were made on how to proceed. On October 11, 1990 the Supreme Soviet of the Republic adopted the Declaration on state sovereignty of the Bashkir ASSR. On February 25, 1992, the Bashkir ASSR was renamed the Republic of Bashkortostan. On March 31, 1992, a Federative Compact "On separation of authorities and powers among federal organs of power of the Russian Federation and the organs of power of the Republic of Bashkortostan" was signed. On August 3, 1994, a Compact "On separation of authorities and mutual delegating of powers among the organs of power of the Russian Federation and the organs of power of the Republic of Bashkortostan" was signed. The head of the government of the Republic of Bashkortostan is the Head (before 1 January 2015 the title was called "President"), who is elected by the people for a four-year term. According to the Constitution, the Head of the Republic of Bashkortostan guarantees rights and liberties of the country's people and citizens, protects economic and political interests of the Republic of Bashkortostan, and secures legitimacy, law and order within its territory. Rustem Khamitov assumed office on July 19, 2010. His predecessor was Murtaza Rakhimov, elected on December 17, 1993. Before the elections, Rakhimov was the Chairman of the Supreme Soviet of the Republic— the highest post at that time. Rakhimov was re-elected in December 2003 in a poll condemned by the OSCE for exhibiting "elements of basic fraud." The relations of the Republic of Bashkortostan and the Russian Federation are at present based on the articles of the Constitution of the Russian Federation, the Constitution of the Republic of Bashkortostan, the Federative Treaty (with amendments), and the Agreement on Separation of authorities and powers and mutual delegating of powers among the organs of state power of the Republic of Bashkortostan. The state has strong economic and cultural ties with its western neighbor the Republic of Tatarstan. The extraction of crude oil in Bashkiria began in 1932. At the end of 1943 large crude oil deposits were discovered. During the Great Patriotic War of 1941 to 1945, Bashkiria became one of the major regions of the Soviet Union to accommodate plants and factories evacuated from Western Russia, as well as great masses of people, while also providing the country with weaponry, fuel, and foodstuffs. After the war, a number of industries developed further in Bashkiria, such as mining, machine-building and (especially) oil-refining. Bashkiria's industry became a solid base for the further economic growth of all European outlying territories of Russia. The economy of Bashkortostan, being one of the largest industrial centers of Russia, is very diverse. Bashkortostan has a large agricultural sector. But the republic's most important industry is chemical processing; Bashkortostan produces more oil than any other region of Russia, about 26 million tons annually, and provides 17% of the country's gasoline and 15% of its diesel fuel. Other important products manufactured in Bashkortostan include alcohols, pesticides and plastics. Bashkortostan's gross regional product in 2014 was 1.34 trillion rubles,, making the republic the subject with the ninth highest GRP in Russia. The state had a positive trade balance, with $13.7 billion exported and $1.2 billion imported in 2013. 82.9% of enterprises in Bashkortostan are profitable, higher than the nationwide average of 68.42%. Bashkortostan has been recognized as the subject with the lowest economic risk. According to Forbes, Ufa is the best city in Russia for business among cities with population over one million (2013). Most ethnic Russians, Chuvash and Ukrainians are Orthodox Christians. Most Mari are Pagan. Non-religious people form a substantial part of any ethnic group in Bashkortostan. There are 13,000 Jews in the republic, with a historic synagogue in Ufa, and a new Jewish Community Center built in 2008. According to a 2012 survey 38% of the population of Bashkortostan is Muslim, 25.2% adheres to the Russian Orthodox Church, 3% are unaffiliated generic Christians, 1% are Orthodox Christian believers without belonging to any church or members of other Orthodox churches, and 2% are adherents of the Slavic native faith (Rodnovery), the Mari native religion, or Tengrism. In addition, 15% of the population declares to be "spiritual but not religious", 8% is atheist, and 7.8% follows other religions or did not give an answer to the question. Note, however, that this survey has been criticized as biased. It was conducted by the service "Sreda", which has ties to the Christian organizations. For 2010, there are over 1,000 mosques in Bashkortostan, 200 Orthodox churches and 60 religious buildings of other confessions. Football club FC Ufa is from Ufa. KHL team Salavat Yulaev Ufa plays in the city, as does Russian Major League team Toros Neftekamsk, Minor Hockey League team Tolpar Ufa and Russian Women's Hockey League team Agidel. National Junior Hockey League Hockey club Gornyak is from Uchaly. Russian Volleyball Super League team Ural and volleyball team Ufimochka-UGNTU are from Ufa. Formula One driver Daniil Kvyat hails from Ufa.